Home / Blog / Mouse Lifespan: How Long Do Mice Live? Mouse Lifespan: How Long Do Mice Live? Have you ever had a mouse in the house? 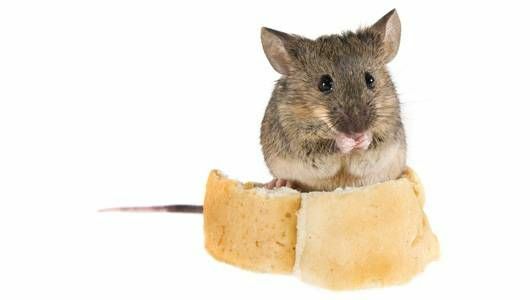 Although a pet mouse might make an adorable addition to the family, some mice may be more like uninvited houseguests. Before deciding to adopt a pet mouse, or screaming and hiding if you find one running around your home, find out more about the life cycle stages of a mouse. 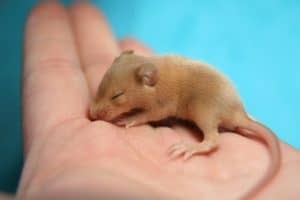 Baby mice: Mice pups are small, roughly the size of a quarter. They only weigh about as much as a sheet of paper. They are blind and sometimes referred to as ‘pinkies’ due to the pink color of their hairless bodies. Unless you find a mouse’s nest, you are unlikely to encounter baby mice. Juvenile mice: By two weeks of age, their eyes and ears have opened and they have grown hair. Click here for detailed photographs of the weekly development of mice. By three weeks, the mice are weaned from their mother. They are able to come and go from the nest, finding their own food. The diet of a mouse varies based on its surroundings. Mice can eat practically anything, from dry foods, fresh or rotting produce, other insects and more, but have shown a preference for the same foods their mother ate while pregnant. Adult mice: A mouse reaches reproductive maturity by about six weeks of age. Male mice attract a mate by ‘singing’ ultrasonic songs (meaning people cannot hear them) and through the use of scents only other mice can detect called pheromones. Once a female becomes pregnant, it will only take 18-21 days before she delivers her litter. The number of baby mice in a litter is about five or six on average. When you do the math, assuming half of each litter is female and can begin reproducing in six weeks, the number of mice can multiply at an astonishing rate! As you can see, it does not take long for one mouse to become many, but how long do mice normally live? In the wild, the average mouse tends to live about five or six months. If living in ideal conditions, a mouse can live approximately two years. Ideal conditions for a mouse mean a steady supply of food without intense competition from other rodents or predators, as well as a somewhat temperate climate. Mice can survive for months without water, getting the hydration they need from their food, or by licking the condensation from sink pipes. Reproduction slows down during periods of lower temperatures, so indoor populations breed throughout the year, while outdoor mice have peak breeding seasons during the spring and fall. Taking a ‘wait and see’ approach to mouse control runs the risk of exposing yourself and your family to the various diseases spread by mice. While cats and dogs can help control the mouse population, they do not usually eliminate mice infestations. Not only is a well-fed pet a lazy mouser, but mice actually love to eat pet food and may be more attracted to homes where food is readily available. If you think you have one, or more than one of these unwanted guests in your home, visit our article on proven ways to get rid of mice. We had a mouse that got into our closet and seemed to nest in the corner of the room. We put out humane traps and while it took a couple of weeks, we caught the mouse. He was so cute, with big shiny eyes and an adorable pink nose and the sweet little paws. I drove to a wooded area about 30 mins away (it was on my way to work) and let him go near a little brook. But now I’m concerned that he will be really anxious in the new environment and find it difficult to survive without the company of other mice. Do mice need the company of other mice, or are they ok with living on their own? For starters, both outdoor mice and house mice tend to live in groups. That is due to preference as well as breeding habits. Mice breed frequently and give birth to litters of 6-8 on average, and can do so up to 10 times a year. That being said, if you have one mouse, then you very likely have a little family living in your house or garage so keep an eye out for signs of other mice. As for the little guy that you caught, hopefully he found a home and a new family. 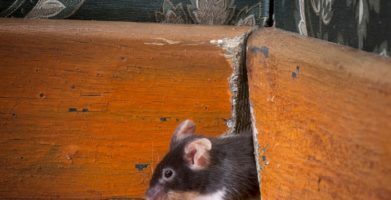 House mice typically are not adapted to outdoor living, so the question of what to do once you catch one in a humane trap is always tricky. Some people choose to release them in their garden, but you run the risk of them returning. 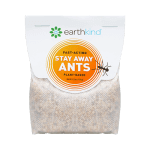 When it comes to mice, keeping them from entering the home is always a better alternative than trying to get rid of them once they’ve made a home inside yours, so a natural repellent like Fresh Cab can help you keep them outside of your home to begin with. I hope this helps! Hello I have a mouse problem and I own a cat, however my cat won’t kill them she seems to be afraid of them. In addition to that they are in the walls and ceilings and I’m afraid they will get in furniture or even chew through the ceilings and fall through I’m at the end of all hope and on a very low budget but at this rate moving out is not much of an option at the moment what should I do ASAP? This is definitely not a fun experience! We are sorry to hear about your situation. The mice are probably looking for a safe place and have taken to the walls and ceiling since they know there is a cat in the house. 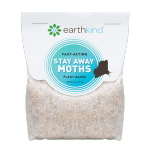 We have several DIY articles Learn How To Control Mice, Rats & Rodents the EarthKind Way that will help you repel rodents from your home. 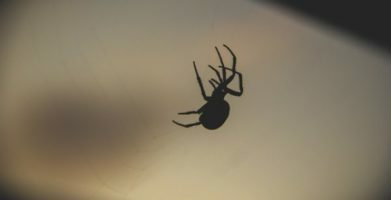 Here are some quick recommendations: the first step is to look for any entrances into your home and block them with something mice cannot chew through like steel wool. Mice can squeeze through an opening just a quarter of an inch in size! Next, clear away any clutter or debris mice may use to hide behind or for nesting material. Let’s make sure we do not have anything that may be attracting them. Secure food in containers, empty the cat food dish between feedings, etc… We do not recommend the use of baited traps or poisons because they will attract more mice. Mice do anything in their power to fill their tummies! 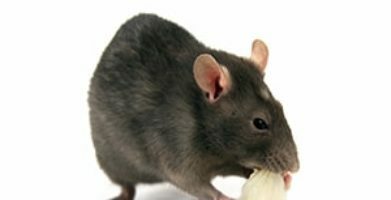 If you do find rodent droppings, please follow the CDC guidelines Cleaning Up After Rodents before vacuuming or sweeping so you don’t accidentally stir up and inhale any pathogens carried by rodents. Lastly, we recommend protecting your home with Fresh Cab Rodent Repellent pouches. It is low cost and proven effective. One of my favorite things is that it helps repel the mice without having to deal with the mess and it is safe for pets. Fresh Cab prevents reinfestation for up to three months. You can find it locally [link] or on our website. Sign up for our Newsletter and follow us on Facebook to get DIY tips and money saving offers. 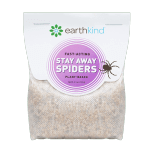 We hope this helps you get rid of those pesky critters once and for all! Although a pet mouse might make an adorable addition to the family, some mice may be more like uninvited houseguests. Before deciding to adopt a pet mouse, or screaming and hiding if you find one running around your home, find out more about the life cycle stages of a mouse. Baby mice: Mice pups are small, roughly the size of a quarter. They only weigh about as much as a sheet of paper. They are blind and sometimes referred to as ‘pinkies’ due to the pink color of their hairless bodies. Unless you find a mouse’s nest, you are unlikely to encounter baby mice. Adult mice: A mouse reaches reproductive maturity by about six weeks of age. Male mice attract a mate by ‘singing’ ultrasonic songs (meaning people cannot hear them) and through the use of scents only other mice can detect called pheromones. string(38) "Mouse Lifespan: How Long Do Mice Live?"